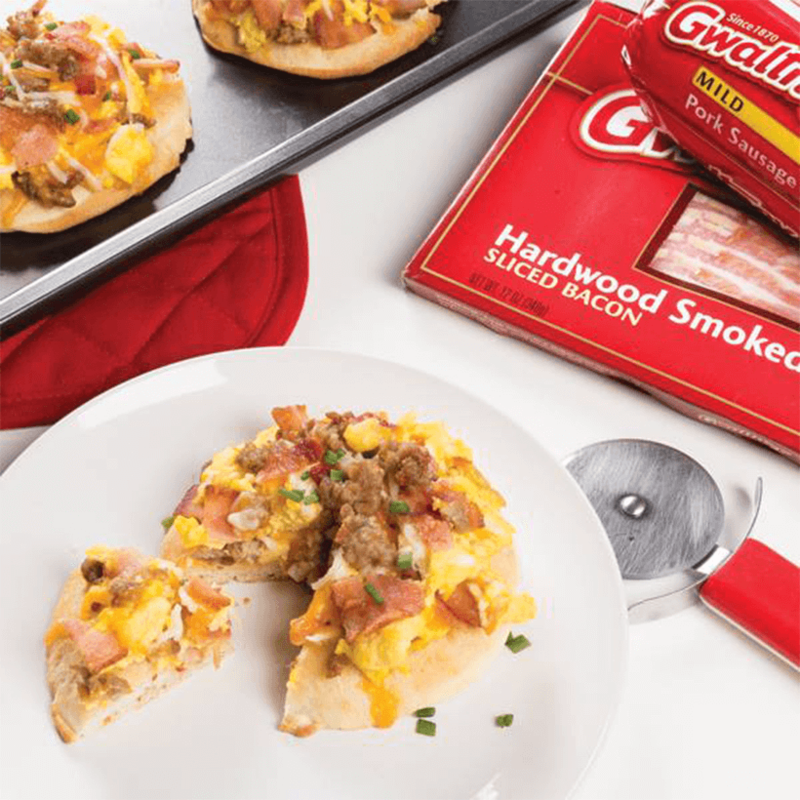 Calling all meat lovers: Try our Gwaltney Sausage and Bacon Breakfast Pizza to get this party started. Place mini pizza dough on a cookie sheet. Cook up Gwaltney Bacon and Sausage for toppings. Scramble the eggs in a separate pan until they are soft-set; don’t overcook or they will become dry and rubbery while in the oven. Top your pizzas with ingredients. Place in the oven and cook 12–15 minutes, wait for the cheese to become bubbly and the edges of the biscuits to brown.